The Great American Rivers once transported fine oak casks filled with American bourbon towards New Orleans. Bourbon casks could only be used once, their aromas and flavours released quickly, without being exhausted by long maturation. Excellent for ageing single malt Scotch. Our second release in the Age of Discovery collection and a first for us, Bourbon Cask Reserve is inspired by that history. 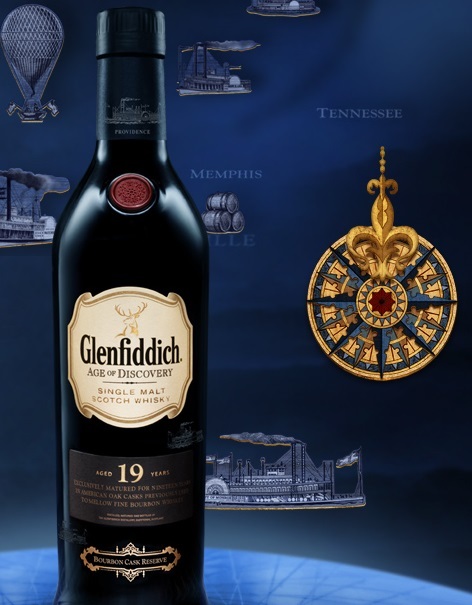 It is our only expression exclusively matured in American bourbon casks, for 19 years. Creating a refined balance of spicy sweetness and rich dried fruit flavours.